Less than a week before legendary ’90s K-pop icon Seo Taiji is slated to perform his highly anticipated comeback concert on Saturday, the singer continues to prep and hype the public with his return to the limelight. Seo appeared on the popular KBS2 TV program “Happy Together 3” last week, giving the public a rare glimpse into his personal life as he talked about the birth of his daughter and his surprise marriage with the lesser-known actress Lee Eun-seong last year. Following the announcement of his long-awaited return to the public eye, the singer has been dominating music headlines over the past several months, publicizing random sneak tidbits of his upcoming album “Quiet Night,” and a large-scale concert performance. After his months of hinting, Seo finally unveiled both versions of “Sogyeokdong,” the prerelease singles off his soon-to-be-released ninth studio album. It was previously announced that the single would come in two versions; the first version of the track was performed and sung by popular K-pop starlet IU and was released online on Oct. 2, while the second version, sung by Seo himself, was released 10 days later on Friday. The vintage-sounding electronic pop song features the artist’s classic soft-spoken ballad vocals and in just two days, the track’s music video had racked up more than half a million views on YouTube. Seo and IU’s agencies said they had been secretly working on the track for months, trying to keep fans in the dark as much as possible about the collaborative project. IU’s version went on to top all nine major online music charts shortly after its release, while Seo’s release marks a comeback after a five-year hiatus. The 42-year-old former Seo Taiji and Boys’ leader, who is often credited as one of the most influential figures in the development of Korean popular culture and the K-pop genre, is now gearing up for what is expected by many to be one of the biggest K-pop concerts of the year. Seo’s concert will be held in Seoul on Oct. 18 at the Jamsil Sports Complex’s Olympic Stadium. The show is said to be a Christmas-Halloween theme fusion concert titled “Christmalowin,” with Seo Taiji Co. officials previously stating that they are pulling out all the stops for the upcoming concert, which they have referred to as a “blockbuster” event. Last week, officials revealed that IU will also be joining Seo on stage for a collaborative performance of the two’s “Sogyeokdong” single. Although his “Quiet Night” album is not slated to be released until Oct. 20, the singer is expected to perform the tracks of his new album live at his concert for the first time, as well as perform some of Seo Taiji and Boys’ most iconic hits such as “Come Back Home,” “Hayeoga” and more. 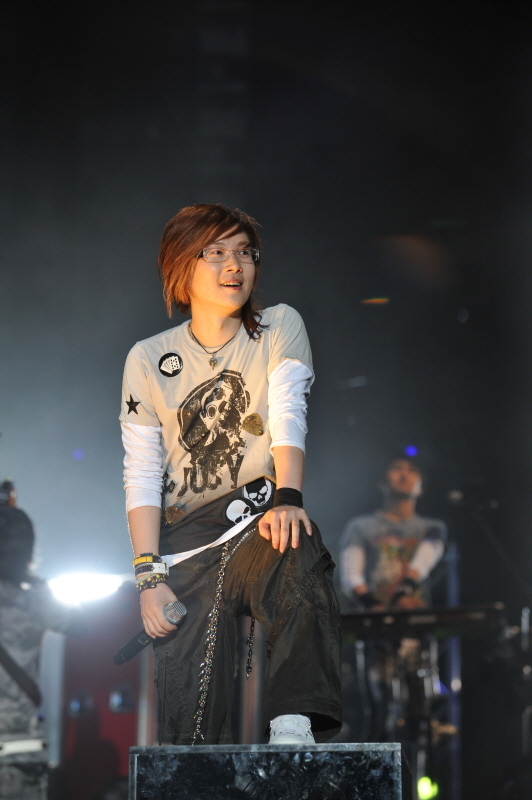 Following the Seoul concert, the musician is expected to host a number of concerts nationwide.